What major tasks does an average small or mid-size business need to handle every day? Fortunately, we know an effective way to “make things easier”! 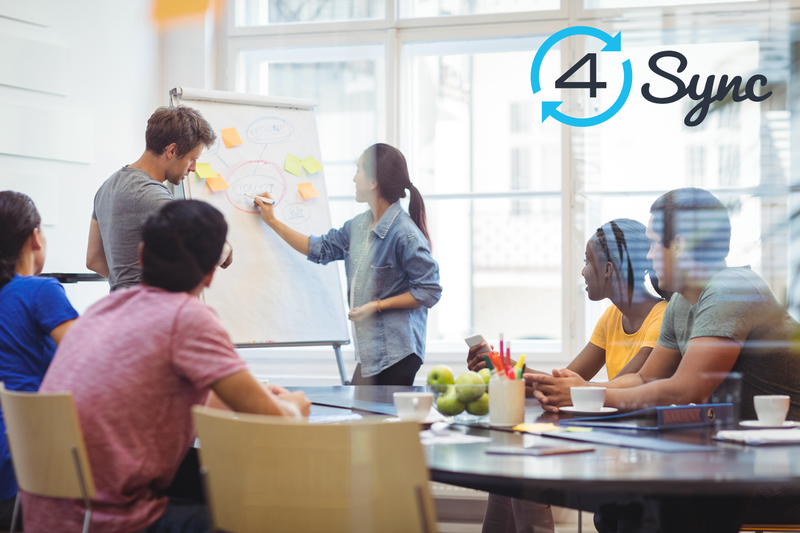 Here’re the three key features at 4Sync that can help you both to manage team more effectively, and communicate with clients in a better, much smoother way. 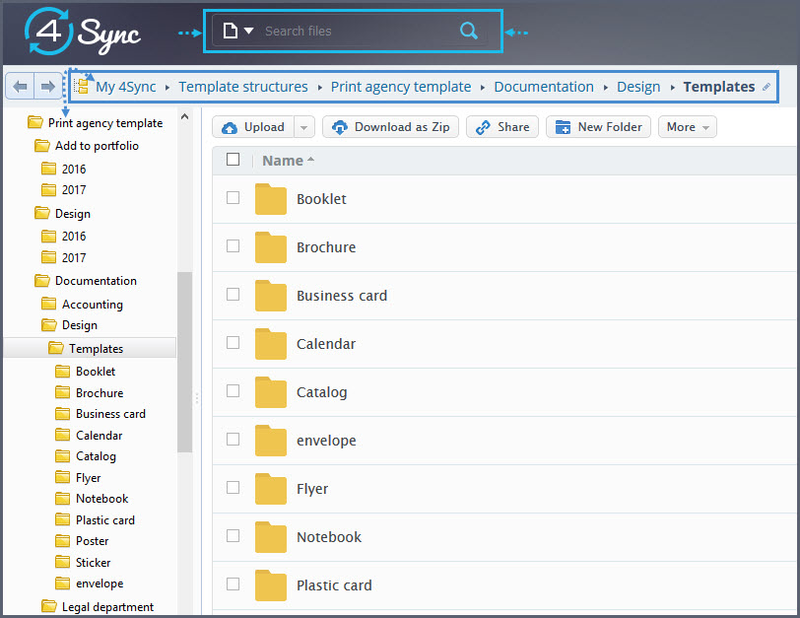 Your 4Sync account in many ways resembles a folder on a computer or mobile device, yet it also has some valuable extra benefits. First, it enables keeping all crucial data in sync: across devices and your secure 1TB cloud storage. But more importantly, it’s super-easy to manage and navigate on the move, anytime. The latter advantage owes much to a customizable tree-like account structure, with “My 4Sync” [as a root folder] branching down to other folders and files. 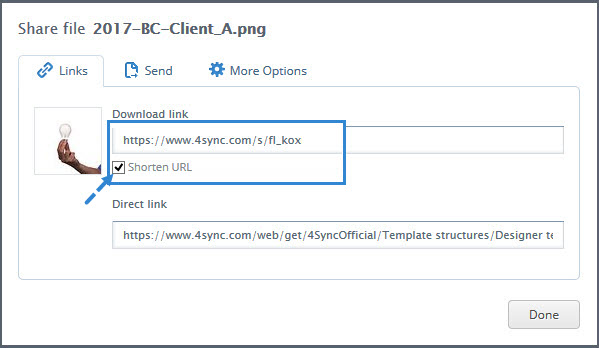 Not only is it effortless to set up and further modify your account folder tree, according to company’s specifics, but also navigate, manage and share data stored within it – fast (see below). in your account in seconds. 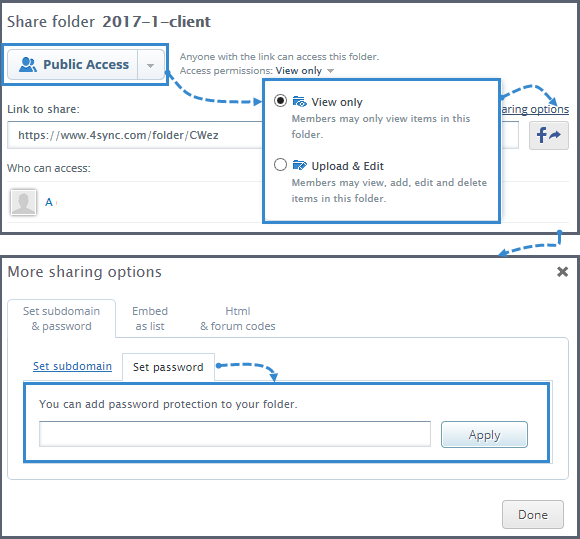 Deny access to the most confidential folders for everyone, except you (see below). Tip! Ensure extra folder protection by setting a password to it. Communicating with clients, especially getting their ongoing feedback and final approval of your team’s work, isn’t always easy. However, some of the aspects can be simplified, if you’re using 4Sync. 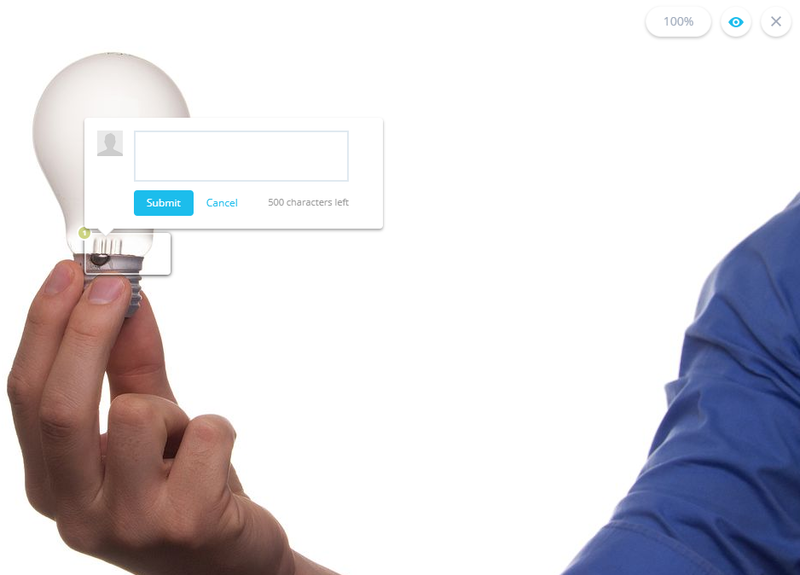 Namely, the unique “4Sync Comment Pins” feature enables you to review, discuss and approve parts of sketches, mockups, UI design and other graphic content with a client and your team – in real time, directly in your computer’s browser. to media files with clients.